I’m still plugging away at the back garden bed from last year – there was a big section that I didn’t expand last year, that was still full of grass. I claimed that part from the lawn tonight by creating a lasagna garden. It’s a whole lot easier than trying to dig up all that grass. I took my old cardboard chicken corral/brooder box from my older chicks, pulled it apart, and laid it over the grassy area, which was roughly 8-10 ft long x 3-4 ft. wide. The cardboard will kill the grass and any weeds. Then I threw a little dirt on top to hold the cardboard in place and to add some weight to it. I grabbed compost material and spread it around the whole cardboarded spot. Typically for a lasagna garden you layer different things – leaves, grass clippings, other materials you have on hand. 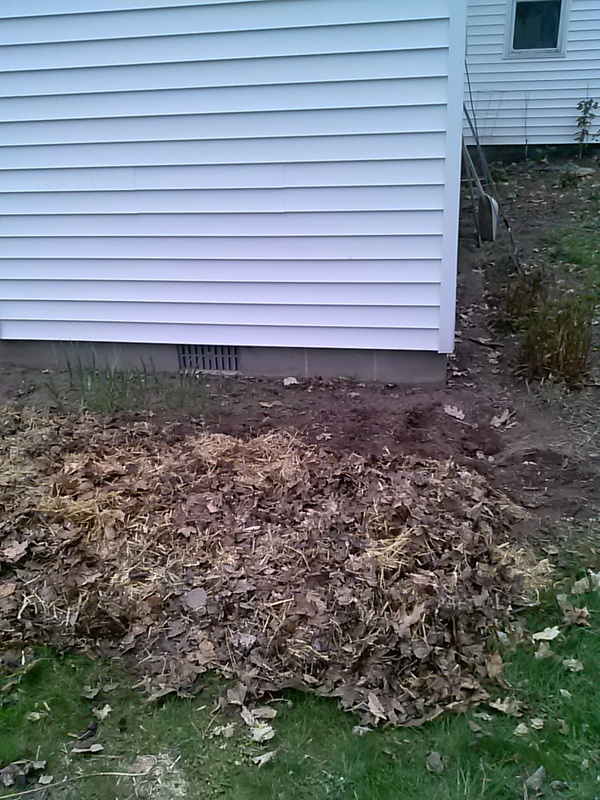 My compost material was a big mix of leaves and chicken bedding, so I just put it as one large layer. That is as far as I got tonight; tomorrow I will add some dirt on top of the whole thing. It will then be ready for planting. Most of this section is planned for a bunch of strawberry plants I ordered – they should be here any day so I need this spot ready for it. 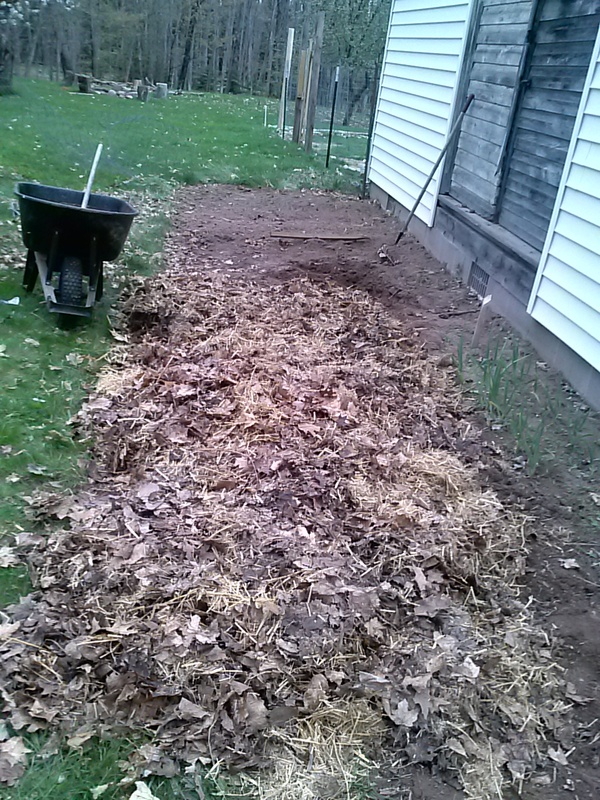 Long view of the new lasagna area with compost on top – you can see the area beyond it that I worked on last night (for info on that, see my last post – Heavy Lifting). Here’s the short view of the lasagna garden, where it comes all the way to the edge of the house. Now it’s a big rectangle behind our house so my fence will be able to be a lot neater-shaped this year. 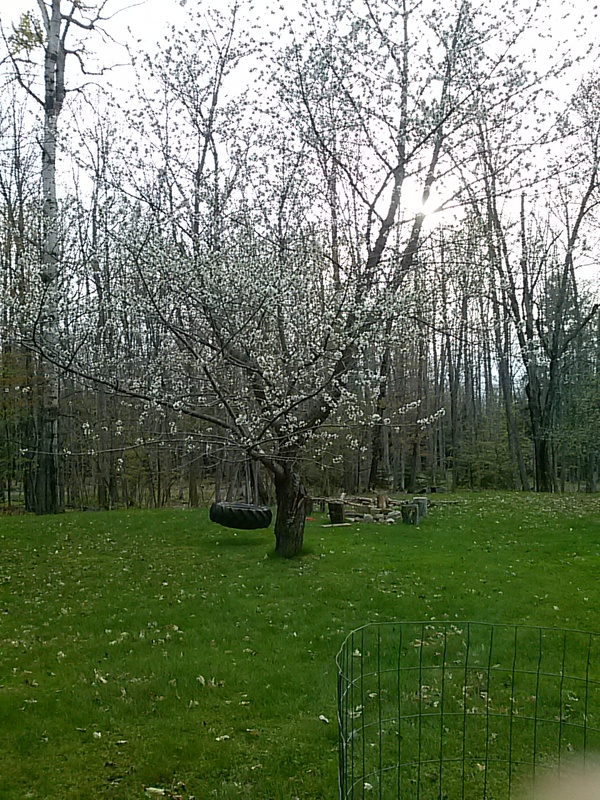 Our cherry tree is in bloom. 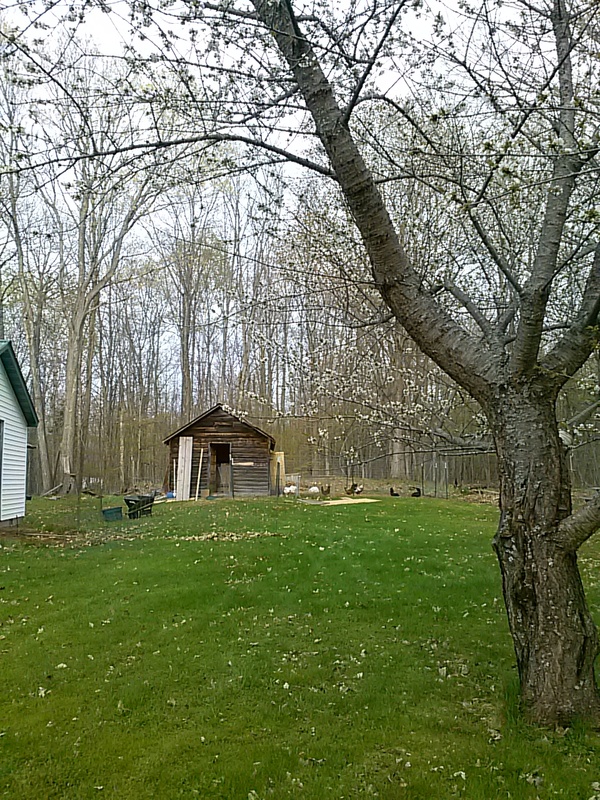 Shot of our chicken coop across the back yard, shot from beyond the cherry tree near the tire swing. 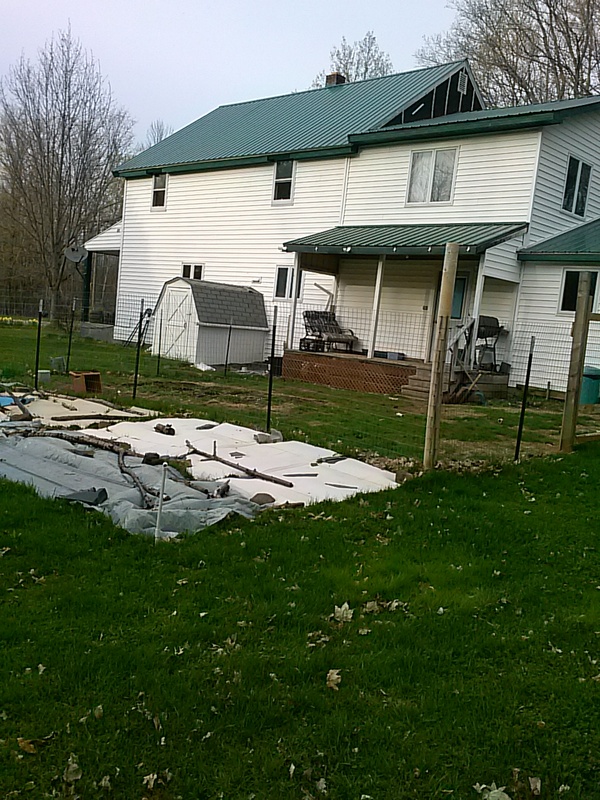 The messy tarp area in this picture is going to be my new larger garden bed. I’m attempting to kill the grass, but I may have to lasagna this bed too. I was trying to kill the grass instead because I don’t know where I will get enough dirt to cover this space. We’ll see. The fenced in area here is our dog pen.